The chief eye surgeon of the Gemini Eye Clinic belonged among the most prolific speakers of the annual ESCRS (the European Society of Cataract and Refractive Surgeons) conference in v Lisbon. Dr. Stodůlka contributed with 6 scientific presentations and he thus ranked among the most active participants of the conference. On Saturday he intiated his performance with an invitation lecture on the current devices for cataract surgery. On Sunday, he supervised an educational course on cataract surgery, he presented his work on a new hydrophobic trifocal intraocular FineVisionHP lens, and in the course on phakic lenses he presented information on the presbyopic phakic IPCL lens, which he had implanted as the first surgeon worldwide. On Monday, Dr. Stodůlka presided the noon symposium on the surgery of presbyopia, and in the afternoon he introduced the results of the CE mark study for the CapsuLaser surgical procedures. The European Society of Cataract and Refractive Surgeons (ESCRS) was established in 1991, and supports education, research and development in ophthalmology. At present, the society has some 7500 members out of 130 countries in the world. 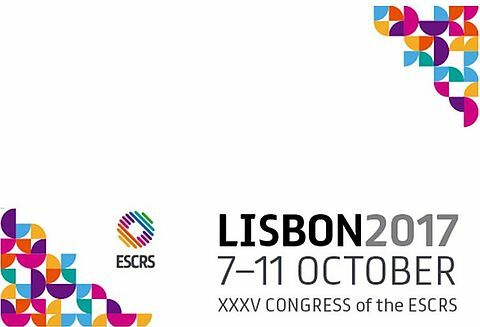 The ESCRS organizes international congresses with the participation of leading eye surgeons from all over Europe. The Lisbon congress was attended by more than 10 thousand ophthalmologists. In September of this year, the chief surgeons of the Gemini Eye Clinic, Pavel Stodůlka, succeeded within a large competition when he was elected among the five of new committee members of the organization. kliniky Gemini Pavel ylo It was the first time, a Czech ophthalmologist had been elected for the ESCRS.